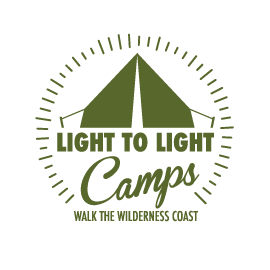 How do I book a Light to Light Camps tour? You can BOOK ONLINE below or make an enquiry using our Contact Form. We can tailor tours to suit our guests’ availability and requirements so feel free to call us on 0429 961 047 so we can make a tour itinerary that suits. We need to ensure the campsites and/or Green Cape cottages are available before we confirm your booking – but as long as they are free and we’re not already booked by another group, we can work with your schedule. We will endeavour to confirm this as soon as we receive notice of your booking. Just go to our Contact Us page, send us a quick message and we’ll get back to within 24 hours (even if we’re in the National Park and have to drive up the road for service!). Or give us a call 0429 961 047.